Kester HydroMark 531 Water-Soluble Solder Paste, Sn63Pb37, 89.5%, 500-gm. Jar. 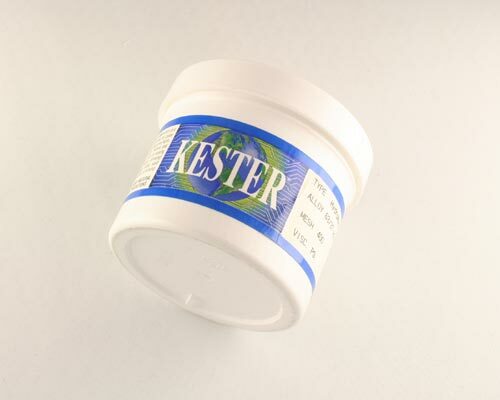 Kester HydroMark 531 is an organic acid, water-soluble solder paste that provides users with the highest level of consistency and performance. Batch after batch, HM531 provides hours of stable stencil life, tack time and repeatable brick definition. HM531’s robust printing characteristics result in consistent solder paste volume regardless of idle time, stencil life and print speed. The activator package in the HM531 is very aggressive and provides superior wetting OSP-coated PCB’s and Ag/Pd components.